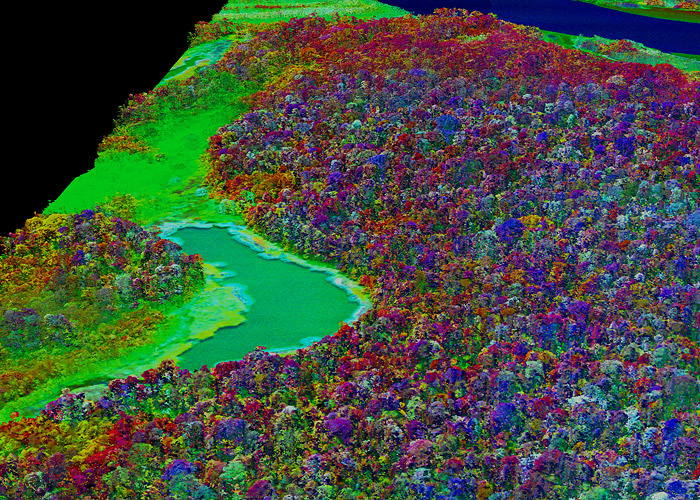 System — has the potential to transform how tropical forest research is conducted. By combining several breakthrough technologies, Asner and his colleagues can capture detailed images of individual trees at a rate of 500,000 or more per minute, enabling them to create a high-resolution, three-dimensional map of the physical structure of the forest, as well as its chemical and optical properties. In Peru, the scientists hoped to not only determine what tree species lay below, but also to gauge how the ecosystem was responding to last year’s drought — the worst ever recorded in the Amazon — as well as help Peru develop a better mechanism for monitoring deforestation and degradation.